Are you ready for an explosive experience? 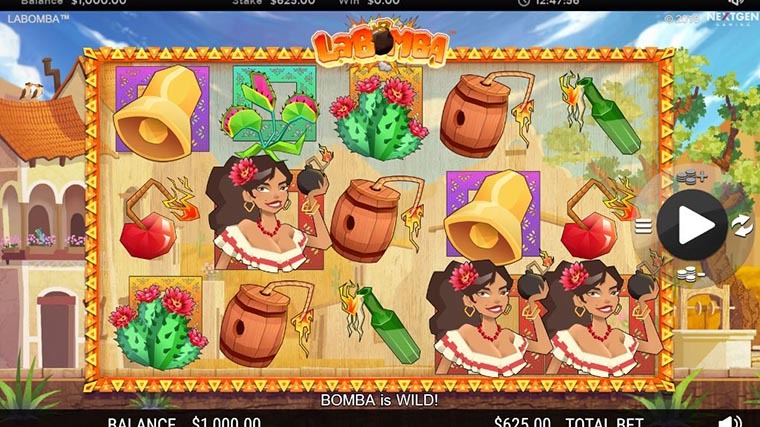 La Bomba is an online video slot developed by Nyx. Its theme is inspired by Spanish culture and the bonus features are designed to blow your mind. There are 25 paylines to be discovered, 5 explosive Free Games to be activated and a Wild that replaces all other symbols, no exceptions. The starting bet is €0.25, the stake can go up as high as €625, and the game is available both on desktop and on mobile devices. To trigger the 5 Free Games with landing 3 Bomba Wilds. The trigger amount is placed above reel 2. The feature cannot be retriggered, but either 1 or 2 Bomba Wilds will grant you 1 or 2 extra spins. Why play it: Play this game if you are in the mood for a straightforward and dynamic video slot.